The Toy is a premium betting and trading application for Betfair. It is one of the highest performing, most user friendly, flexible and customisable applications in the marketplace today. It introduces many previously unseen features to boost your performance and productivity whilst trading. Best of all, it’s completely free to use. Not a free trial, not free limited functionality, but 100% FREE! 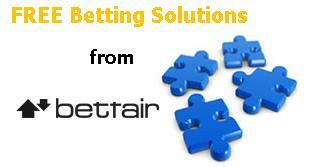 In addition, our chat forum is the first Vendor forum to be run independently by Betfair Traders, for Betfair Traders. We welcome users of all software applications and our members are free to debate the pros and cons of every Betfair application on the market. join the free revolution today! Get new blog posts in your inbox, the weekly newsletter, exclusive subscriber-only resources and special offers. Not a member yet? Joining false-favourites/blog is free, and gives you access to our videos, betting tools, interviews and forum.